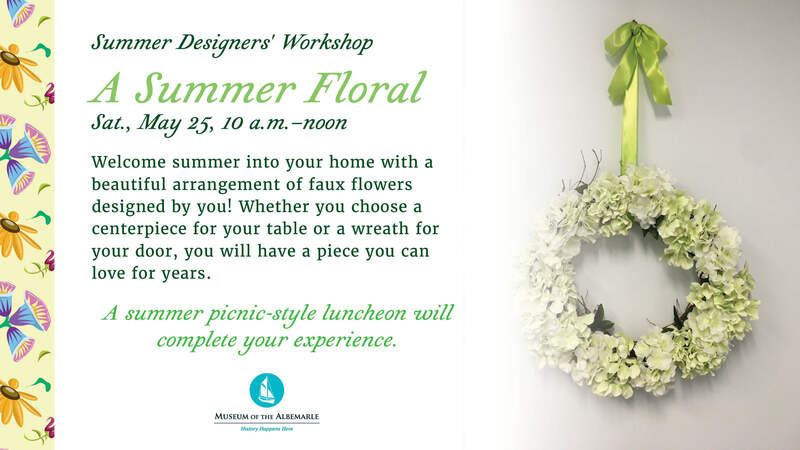 Join us on Saturday, May 25, 2019, from 10 am - 12 pm as we welcome summer into your home with a beautiful arrangement of faux flowers designed by you! Whether you chose a centerpiece for your table or a wreath for your door, you will have a piece you can love for years! A summer picnic-style luncheon will complete your experience. Call (252) 331-4032 for more information. 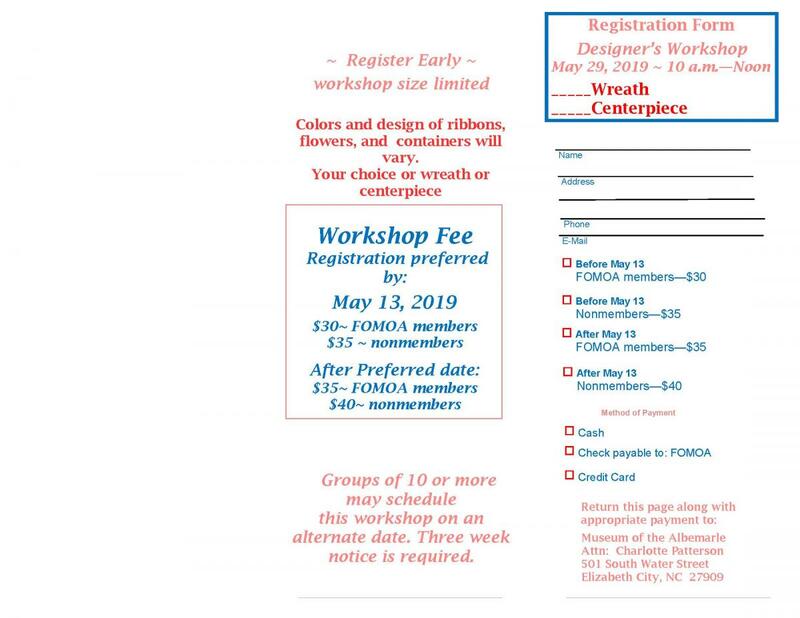 Before May 13th: $30 for FOMOA Members and $35 for Non-Members. After May 13th: $35 FOMOA Members and $40 for Non-Members. Groups of 10 or more may schedule this workshop on an alternate date. Three weeks notice is required.